Someone wise once said “you are known by the company you keep”. Pinnacle is honored to keep company with USCG Licensed Captains that are the best in the business. They are deeply skilled mariners that are highly educated with remarkable careers, life experiences, and inviting personalities. Each Professional Captain has had vast time at sea and underwent rigorous screening and testing by the United States Coast Guard to achieve and maintain their Master license. Every course offered by Pinnacle Yachts is taught exclusively by these highly skilled USCG Licensed Captains. Using Pinnacle’s renowned curriculum, they deliver top-quality instruction in a way that builds skill and confidence. Professional Captains are also available for hire directly by Pinnacle Members to assist with operating the yacht so that the member can focus on entertaining business associates, friends and family. These Captains are wonderful people that make your yachting event truly special and help you shine as the host. Mitch has explored the waters of Australia, New Zealand and the Philippines and has sailed both coasts of the U.S. He has a friendly, attentive style that fits well in both the charter and instruction environment. As a full-time professional mariner, Mitch provides instruction and charter captain services on a large variety of both power and sail vessels. He has previously served as a partner in a private equity firm and was a consultant at a major firm in Chicago. 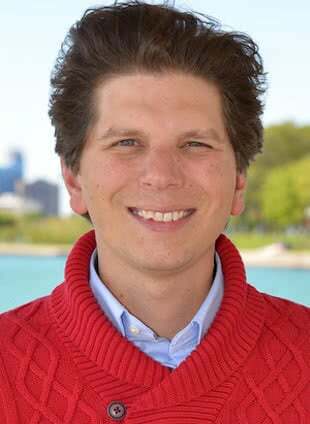 He holds an undergraduate degree from the University of Illinois and an MBA from the University of Chicago. Growing up on Long Island Sound, Rich was drawn to offshore sailing. It was this great enthusiasm for the sea that led him to the U.S. Coast Guard Academy and later to serve with the Coast Guard. 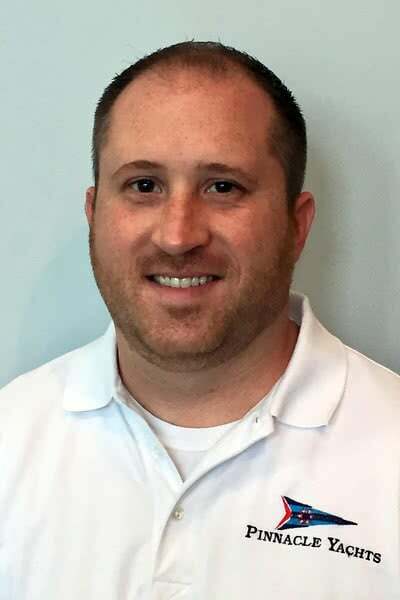 A twenty-year corporate career followed, and now in addition to his commitment to Pinnacle Yachts, Rich is a dedicated middle-school math teacher and athletic coach. He owns a fine sailboat in Chicago, vacations on his second boat in Florida, and frequently sails the blue waters of the Caribbean. Rich holds a BS in Ocean Engineering from the U.S. Coast Guard Academy, an MS in Education from Lewis University, and an MBA from Pepperdine University. Friendly and energetic, Pam pilots and teaches yachting with confidence and finesse. 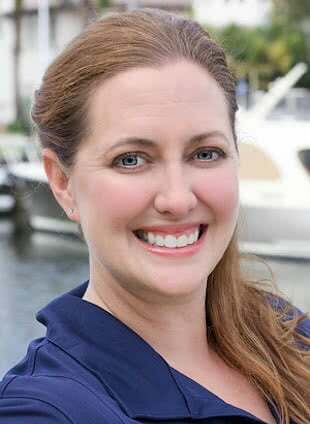 She is known for her ability to use varying techniques to match the unique learning needs of her students, which makes her a very popular among people new to boating. Enjoys piloting charters whether it is a business/client event or a family outing. Pam is a graduate of the University of Wisconsin, Madison with a Bachelor degree in Science. 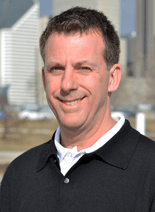 Dave has been following his passion for connecting people with the water by working in the charter and tour boat industry for more than twenty years. 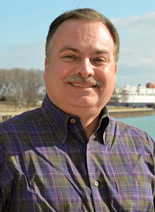 He has held USCG Captain’s positions with some of the most prestigious large ships in Chicago and Key West including both of those city’s flagships. 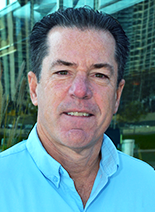 A very thorough and patient instructor and former docent, Dave is also known for using his love of Chicago architecture and history to create informative and memorable on-the-water experiences. With more than 10 Chicago Mac races to his credit Dave hopes to one day achieve Island Goat status. Dave holds a BS in Financial Management from DePaul University. Russ was born with a love of the water. As a boy he wandered the harbors of Chicago and built his first sailboat at age twelve. He has since honed his skills and has emerged as a highly sought-after racing and cruising skipper. Russ is an “Island Goat” with over 30 successful Chicago Mac Races to his credit. He is passionate about the importance of lifelong learning with teamwork. This attitude is manifest in his yachting, musical and distinguished civic service endeavors. Russ holds a BS in Business Administration from Western Illinois University. 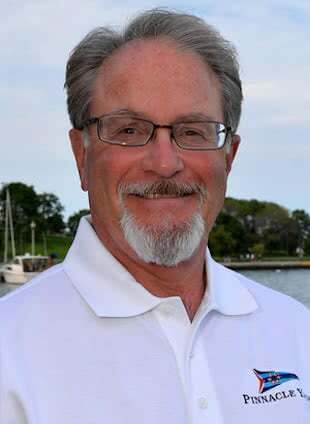 Marty’s nautical expertise, calm demeanor and professionalism have made him a favorite among sailing clients for chartering and instruction. He has over 35 years sailing in Great Lakes, U.S. coastal, Caribbean waters, scores of deliveries all over Lake Michigan on big sailboats, 25 Chicago to Mackinac Island races. 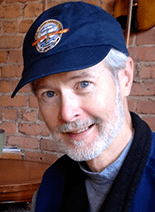 His passion for sailing is matched by passion for teaching; as Skipper of Sea Scout Ship 5111, charted by Columbia Yacht Club, he mentors coed teens in big boat sailing, racing, safety and service. Marty is Adjunct Faculty at DePaul University School of Cinematic Arts and at Columbia College Cinema and Television Arts. He is a working professional in cinema production and editing and holds a BA in Film Production from Columbia College. Leo is an insightful mariner that enjoys sharing the knowledge he has amassed over his thirty-five years on the water. He has sailed extensively on both coasts, the Chesapeake, the Great Lakes, and has delivered yachts to the Caribbean via Bermuda, and has participated in six Chicago to Mackinac Island races. Leo has also owned several power and sailing yachts. He enjoys the water year-round providing sail and powerboat instruction, and captain services in the north during summer; and yacht deliveries in the south during winter. Leo holds a BA in Economics from the University of Wisconsin, Madison. Dave has a true passion for travel, adventure, and education. Raised near the shores of Lake Michigan, he became involved with boating at a young age. These days he spends his free time on powerboats and racing his sailboat. Dave is an educator at heart, he teaches high school and college aerospace courses. 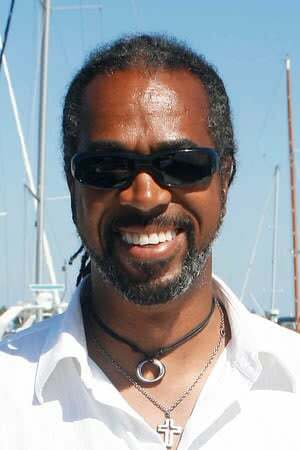 He also teaches sailing and powerboat classes at Pinnacle Yachts and is a US Sailing/Powerboating Instructor. When not on the water he can be found in the air as a commercial pilot and flight instructor. 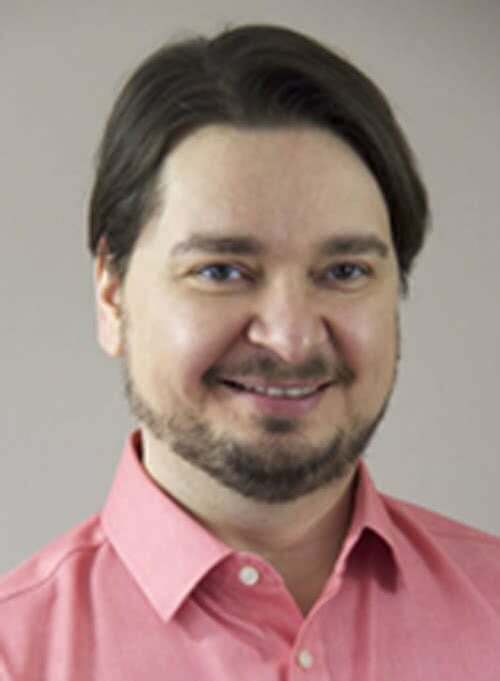 Dave holds a BS in Aeronautics from the University of North Dakota and graduate degrees in Education from Eastern Illinois University and Concordia University. Captain Ivan fell in love with sailing as a youth at a summer camp in Wisconsin. The quiet magic of harnessing the breeze to sail across the lake was superior to paddling or the racket of a motor. The love of sailing has drawn him to the water from Maine to the Caribbean and the fresh water paradise of the Great Lakes. Ivan is the quintessential racer-cruiser, from winning the Mac to cruising the Caribbean, he is at home on the water. He holds a USCG 50 ton master’s license, as well as teaching certifications from ASA and US Sailing. Captain Ben, a Tri-Coastal sailor began sailing as a child in California then in Rhode Island, now enjoying Lake Michigan (the 3rd coast). Cap’n Ben honed his sailing skills through captaining 17 Chicago to Mackinac races, 1 Port Huron Mackinac race and the rarely run challenging SuperMac winning 4th place overall. Ben has sailed across the Atlantic Ocean, throughout the Caribbean, Southern California and Chesapeake Bay. Ben especially enjoys plying the local waters aboard his sailboat Radiance with his teenage children and wife. Ben has a BA in theatre from Rhode Island College and graduate studies at The University of Wisconsin-Madison. He’s a US Sailing Certified Measurer & Instructor and a member of the Broadway Union of Theatre Designers. David is eclectic, adaptable and sincere. Life motto is ‘Carpe Diem’. Captaining US Coast Guard vessels, the Amistad, private yacht charters, commercial charters, in the Great Lakes, Atlantic, and Virgin Islands for nearly 20 years.  Professional works include engineer, adjunct professor, ski instructor, tennis instructor, adaptive scuba diving instructor, lobbyist, mentor, and business owner. 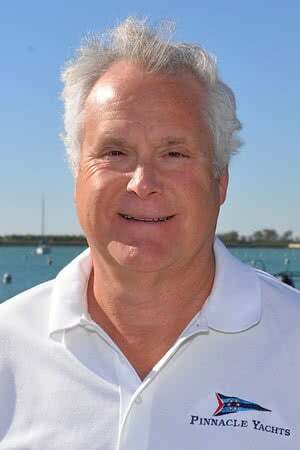 Born in Chicago and a man of the world, he enjoys sharing his love for aquatics and respect for boating. David is a fun loving, outgoing, friendly spirit who gravitates to young and old alike. He holds a BS from IIT and an MS from Grantham University. Captain Rolando is a teacher at heart. 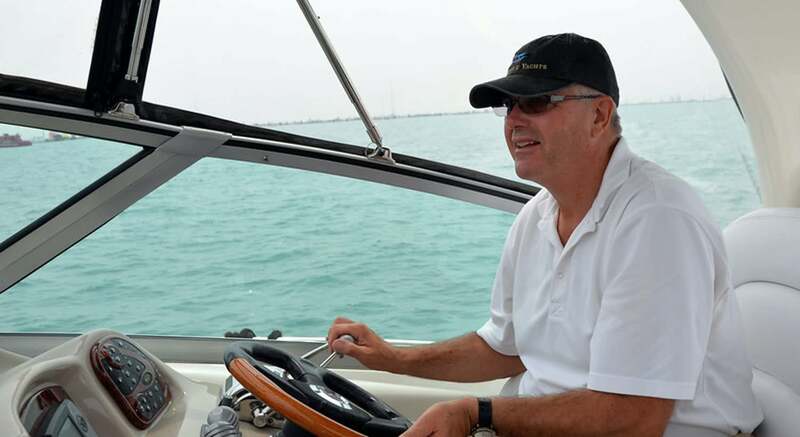 He serves as a charter captain and teaches powerboat and sailing classes at Pinnacle Yachts. 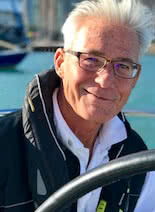 He is also an Instructor Trainer with US Sailing, the national governing body for the sport of sailing. Rolando is a wine enthusiast, an opera lover, and an avid scuba diver. While on land, he is a violin instructor at DePaul University and a Violin Teacher Trainer with the Suzuki Association of the Americas. 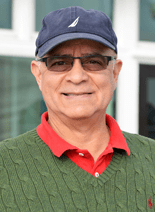 Rolando holds degrees from Shenandoah Conservatory and Penn State University. 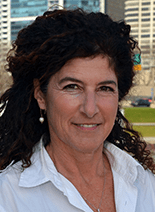 Cynthia races sailboats in the local Chicago buoy races, as well as the Hawaiian Pacific Inter-Island, Chicago to Mackinac, “HOOK” Chicago to “Death’s Door” Challenge, and the inaugural Miami to Havana Cuba race 2016. Her formal training includes traditional tall ships, and service as a Crew Operations member and Vessel Safety Examiner in the U.S. Coast Guard Auxiliary. She Joins us for the season after winters spent abroad on tall ships teaching sailing and climbing aloft, charter catamarans, and learning in maritime educational courses. Her winter travels have taken her to Cuba several times, the Florida Keys, Ft. Lauderdale, Newport RI, and Bermuda. Captain Cynthia holds a Bachelor of Fine Arts in Musical Theatre Performance and a Dance Minor. Rosalie Johnson, originally from the bayous of Venice, Louisiana is a world traveler and lifetime sailor. Her family left Louisiana and moved to the United Kingdom where her father built a 42’ ocean going catamaran. Rosalie and her family lived aboard and traveled Europe, Caribbean, and US Coast for several years. At the age of 16, Rosalie moved ashore and attended college in New Orleans studying to be an elementary school teacher. After marrying, she and her husband traveled through Central America doing humanitarian work for ten years before settling in Chicago in 1996 where their 3rd child was born and Rosalie began teaching for a small private school. Living on the shores of Lake Michigan revived her passion for sailing and she began working with Chicago Sea Scouts and the Judd Goldman Adaptive Sailing programs and in 2015, she completed her second Atlantic crossing back to the U K as crew on a tall ship. 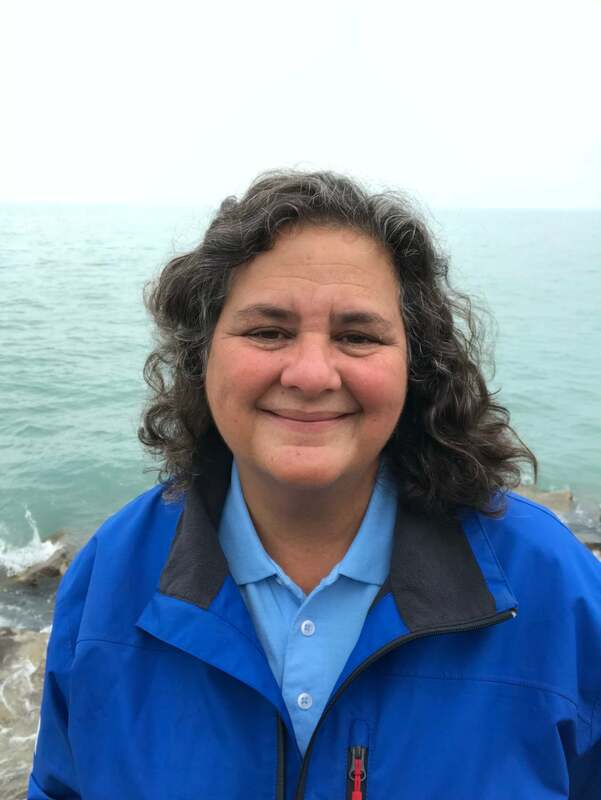 Upon return to Chicago, Rosalie completed her USCG Masters Exam and US Sailing Keel Boat Instructors Course and is a now a charter captain and sailing instructor. Students commend Mark’s patient and motivating style which makes becoming a safe and competent boater a pleasure. At age nineteen he worked as an amusement park skipper on a riverboat in the Wisconsin Dells. Although he enjoyed being called “captain” by his passengers, he has since grown to know the importance and responsibility of actually being one. For the last eight summers he has sailed the Great Lakes in his sloop “Speakeasy” with his wife and trusty boat dog, Java. He has also sailed the Caribbean and Croatia. Mark holds a PhD in Education from the University of Wisconsin-Madison and has devoted decades to teaching educators how to use technology in their work.